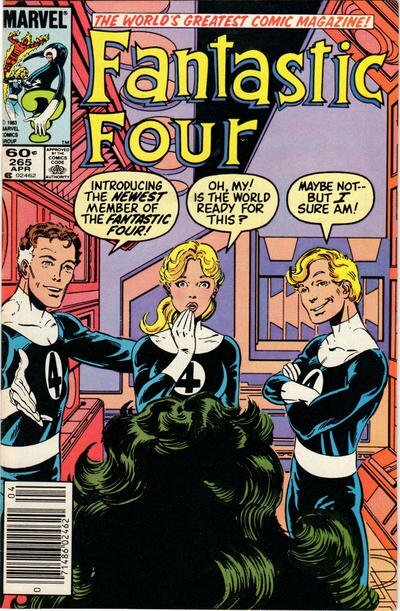 Click Here To See Fantastic Four #265 Comic Book! Check out this very nice BRONZE AGE 1983 FF page, which was penciled and inked by the great John Byrne, from the story titled: "The House That Reed Built!" 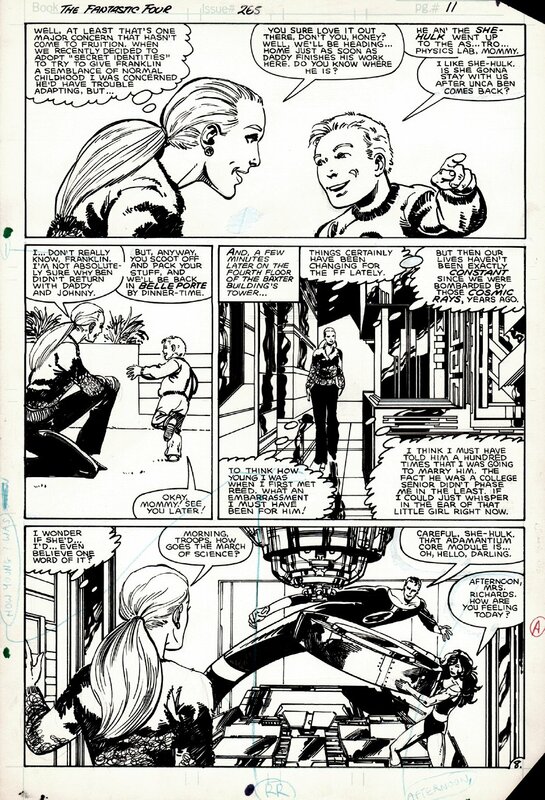 This nice page features Sue Storm and little Franklin Richards at the top of the page, and then we get a SUPER spread at the bottom with a stretched out Mr. Fantastic and She-Hulk lifting a large Adamantium core module into place in the Baxter Building. ALL art on our website (including this one) are able to be purchased with VERY fair time payments, and trades are always considered towards "ANY" art on our website! Just send us an email to mikeburkey@aol.com and we can try to work something out.